Every once in a while, you’ll come across a quilling paper artist whose work is instantly recognizable. Sena Runa is definitely one of those artists! I’m sure you’ve seen her famous quilled heart or her lovely paper camera many times! I’m a huge fan of her modern quilling style, so, obviously, when I was contacted to review her new book, I was just thrilled! So, for this first post of the brand new year, I’m sharing thoughts on Sena’s book, Quilling Art. When I first heard of Sena Runa, I was shocked to learn that she had only been quilling for a few years. She quickly found her own style and became a true rising star in the paper craft world. Her work is bold and lively, and totally her own. She’s known for her use of scrolls and bright colors and she’s sharing that in her book. Sena Runa’s Quilling Art is chock full of quilling paper goodness. She’s kindly included a few pages on basic technique and some useful tools that would be really useful for the true beginner. Then the real fun begins! In each of the 20 projects, Sena provides a detailed list of materials (including what shades and lengths of quilling paper will be used) and a template that lays out exactly where to place each quilled strip. The detail she has put into every page of this book is just amazing. Step by step, Sena guides her readers through paper shaping and placement. Some projects also make use of drawn illustrations ~ check out the whipped cream on this milkshake! The results are mirror images of some of her most famous designs, intended to help all quillers gain a bit more confidence in their own work. All of the projects in Quilling Art feature Sena’s gift of combining bold colors in ombré designs with simple, uncluttered scrollwork. Nothing is overworked or fussy. If you’re looking for some tips on making proper paper scrolls, check out my scroll how-to post. In my opinion, the most beautiful aspect of Sena’s work is the way light reflects of her extra-wide paper strips and changes the color of the backing paper. It’s a true quilling phenomenon! She’s totally convinced me that I need to invest in thicker paper ( I’ve been holding off since I’m practically swimming in 1/8” strips!). Quilling Art by Sena Runa is published by GMC Publications, ISBN 9781784943677. It was released on November 17, and is available for purchase on TauntonStore.com for $19.95. 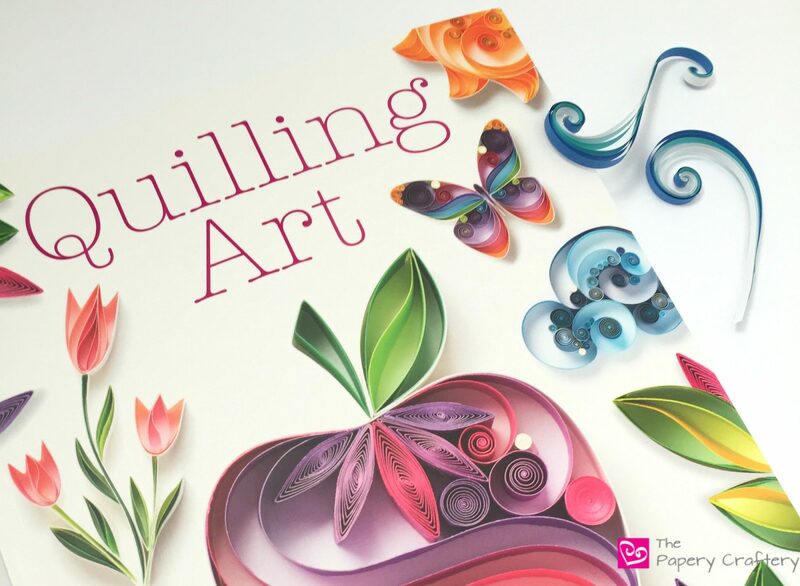 If you’ve picked up a copy of Quilling Art, tell me your thoughts below. What was your favorite project? Did you learn any new tricks?